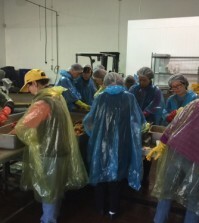 It was a seemingly well-organized operation with no chance of failure. Under the code name “hansik (Korean food) globalization,” the government kick-started the project in 2008 with the big dream of lifting the country’s signature dishes to the same rank as hamburgers, sushi and pizza. 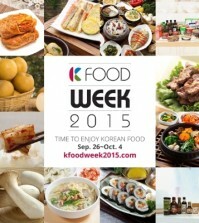 It spent nearly 80 billion won ($73.6 million) up to last year pushing forward with the ambitious project of opening a state-run upscale Korean restaurant in the heart of Manhattan, hanging promotional signs at tourism hot spots and hosting many events aimed at boosting awareness of Korean dishes globally. Several Hollywood stars and high-profile figures were mobilized to facilitate the drive and, in the process, many regulatory barriers against it have been eliminated. Five years on, the restaurant plan collapsed and, even worse, the whole project now faces the risk of losing its raison d’etre after being called a waste of its budget, for which a state audit has been underway for months. There are pundits who recognize the positive impact of the project, but still the dominant view is that it was a money-losing operation. 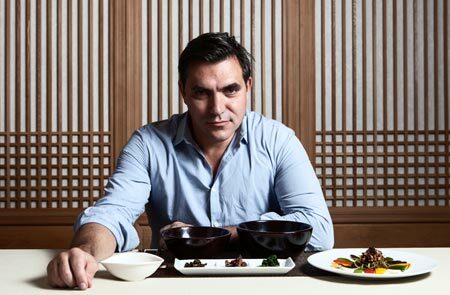 Celebrity chef Todd English from New York City threw himself behind the negative standpoint, suggesting the government “not push” the globalization of Korean food. The 53-year-old is an American millionaire with his own restaurant empire whose business territory spans across the United States. He earned rock-star status through his TV cooking show, “Food Trips with Todd English,” on America’s PBS TV channel. 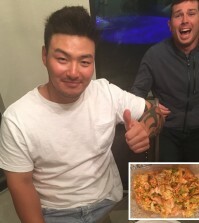 He claimed Korean food has “huge” potential to become an international cuisine, adding the possibility will turn into reality only when it is blended with the mainstream culture of target markets. He said the strength of Korean food lies in its freshness and healthiness. But English said the two elements are not enough to make a hit in the U.S. He pointed out “kimchi tacos” as a model case of Korean food twisted in a way that meets American taste. The chef advised that taking the garlic smell out of Korean food is another importance. In this regard, English said, Korea’s temple foods gave him fresh ideas on how to upgrade his menu without worries about the smell. Other Korean foods he thinks would make appeal to U.S. consumers include citron tea and Korean-style stew boiled in clay pots. Just wanted to tell you keep up the fantastic job!.